Obituary for Elizabeth Ann Stowers | Fleming & Billman Funeral Directors, Inc.
Elizabeth A. “Betty” Stowers, age 97, of Rudd Rd., Saybrook Twp., passed away peacefully in her home that she shared with her beloved cat Toby. She was the youngest of 7 children born on September 8, 1921 in Rock Creek, Ohio, the daughter of George & Susanna ((Lederer) Bender. Elizabeth married Ivan H. Stowers on August 28, 1940. She was a dedicated and loving mother, grandmother and homemaker. She and Ivan enjoyed traveling and camping in nearly every state in the Continental U. S. and made 3 trips to Alaska. They also enjoyed 26 years of wintering in Florida. She was a member and the Head Elder of the Ashtabula Seventh Day Adventist Church. She preached her first sermon in 1983. And continued this for over 30 years-filling in whenever needed. Her life has been dedicated to spreading the love of Jesus to everyone she met. She had a talent for knowing if someone needed a kind word-she never knew a stranger. She had prayer list that grew loner every day-but she remembered each one. She never thought of herself-doing without to help someone else. She loved to write encouraging editorials for the Star Beacon and hand out pamphlets filled with love and hope at Giant Eagle and Saybrook Park. 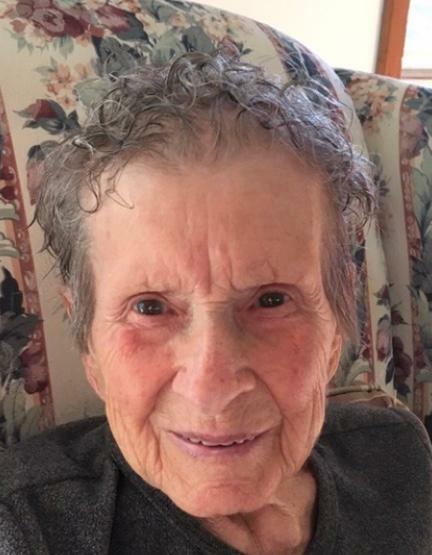 She was a remarkable woman, dearly cherished and missed by her family; four children, Patricia (Joe) Whedbee of Ashtabula, Nancy (Ron) Leonard of Ashtabula, Davey (Patsy) Stowers of Englewood, Ohio, and Ivan (Barb) Stowers Jr. of Conneaut; 7 grandchildren; Kristy, Stan Jr., Jeff, Jenifer, Katherine, James and Rana; 19 great grandchildren and her 4 loving care givers, Dotti, Jackie, Annie and Rose. She is preceded in death by her parents; husband Ivan; her son, Dale J. Stowers; her 4 sisters; 2 brothers. A Graveside Service will be held Thursday, April 4, 2019 at 12:30 P. M. at Saybrook Cemetery with family friend, Mike Maksimovic conducting the service. The Ashtabula Home of Fleming & Billman Funeral Directors and Crematory, 526 W. Prospect Rd., Ashtabula are honored to serve the Elizabeth A. Stowers family. Obituary, guestbook or condolence expressions can be found at fleming-billman.com.